Instagram Stories is a creative way to tell your brand narrative through visual and video content. The format directly appeals to the content consumption habits of millennial users. Today’s consumer has an average attention span of 8.25 seconds, which scientists have concluded is less than the attention spans of goldfish. Narratives that are short, succinct, and visually stimulating are most likely to register in the minds of hyperactive consumers. Stories is the perfect medium to make the impact you expect, and Instagram is the optimal channel to reach a large segment of your audience. As of April 2017, there are over 200 million people actively engaging with Instagram Stories content on a daily basis. 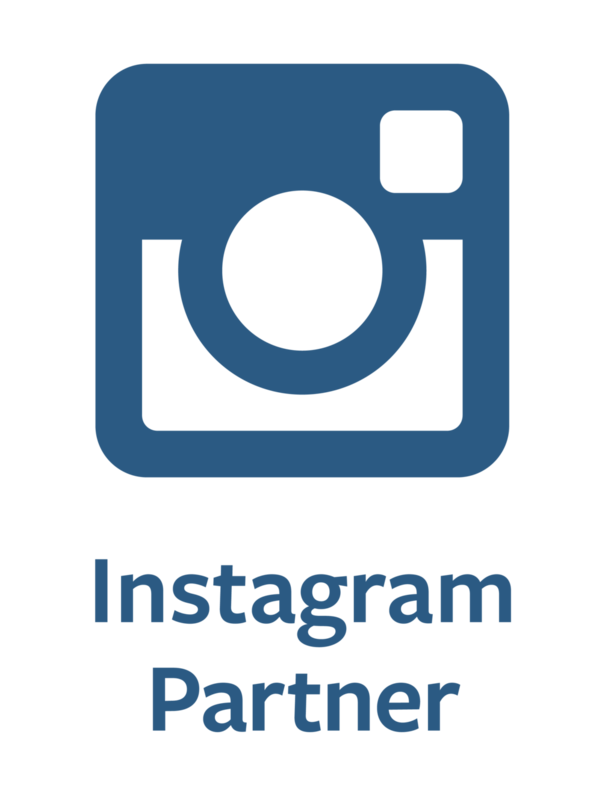 700 million people engage with Instagram on a monthly basis. There are several underlying merits of Instagram Stories. One of the lesser known advantages of creating Stories content is that you can further break those creative assets down into micro-moments, and repurpose them for other campaigns. As a marketer concerned with creating content at scale, one of the benefits of repurposing content is that you can go to market with more creatives at faster rates. You can customize the assets emblazoned within your content to present a fresh look or perspective. Insert those fresh assets into your Story or promote them across a variety of different channels. This allows for promotions that are unique and yet consistently aligned to a common theme. Let's look at some of the options available. A man named Jeffrey Gitomer, who founded the Gitomer Learning Academy and who owns the moniker “King of Sales,” has a great way of describing why personalized Stories content resonates with the masses. Relating to your audience as a person speaking to another person is a far more effective strategy than communicating strictly as business to consumer. People appreciate when there’s a personal touch from your brand, and GIFs are great pieces of content to make those moments. Have you recently created any lighthearted or funny Stories content? There could be a bright or vibrant piece of content within your Story that captured attention the first time you shared the asset and could be worth promoting once again. You could repurpose that content into a GIF! You can use the GIF to start a new Story or publish it to your main Instagram feed and, who knows? It could go viral, encouraging new people to search for the latest trending GIF and, by extension, the brand behind it. Repurposing your Stories content into GIFs is another way to make personal connections. Lauren Johnson, a technology writer at AdWeek, wrote a great article about the company Tenor, creator of GIF Keyboard, and how Tenor analyzed what behaviors led people to four big brands. One of those brands was Starbucks. According to Tenor’s data, coffee lovers used the search term “Good Morning” 2.1 million times every month, which eventually led them to interact with a Starbucks-themed GIF. If you haven’t done so already, visit the Settings tab in your Stories account and move the toggle at the bottom of the screen to the right so you can save your Stories content. This is Instagram’s equivalent to Snapchat Memories. Suppose, for example, you’re a coffee brand attempting to build brand loyalty through Instagram Stories. Look through your content library for any assets that can be repurposed into a “good morning GIF” for a personal approach to coffee lovers. Tag the GIF with related hashtags (definitely use #goodmorning) to insert your content into the right conversations. One of the best ways to upload video content into Instagram Stories is by creating a series of 15-second shots of a product demo. This is a great way to demonstrate the hows and whys of your products to a very broad audience. But that’s not the only way to present your content. If you’ve saved your Stories into an archive, grab the assets from your library and publish them to your YouTube channel. Brands frequently create their own YouTube channels, but many sparingly upload content to the channel. One of the core values of Instagram Stories is that you create consistent styles and tones for your content, which in turn establishes your unique brand visual identity. You create a look and feel through your content that stands apart from any related brands on the market. You create a narrative that’s relevant to your audience and directly appeals to their interests. Once you have a narrative that’s proven on Instagram, you can import the same style into your YouTube channel by repurposing your Stories content. This ensures that your messaging, your positioning, your style, and your tone are consistent across multiple creative channels. Suppose you created a Story that performed exceptionally well in terms of visibility, completion rates, and click-throughs on embedded CTAs. Those are all strong indications that you’ve got a truly compelling piece of content. Why not repurpose and expand upon the Story by using it to create mini-blog content? A blog helps you build awareness. Creating content that educates and entertains audiences gains authority with time. It also drives new prospects back to your website via social media, Google searches, or through links from referral sites that direct people to your content. Blogging is a critical component of any brand’s inbound marketing strategy. The brands that prove to be exceptional at blogging, with firm commitments to publishing high-quality content, report significant returns in terms of on-site traffic. Given that high-quality content is paramount for a successful blog, repurpose the high-quality content you’ve created for Instagram to fulfill your objective. In addition to extending the value of a really strong piece of content, you’re also telling a consistent narrative across multiple channels. What does this reinforce??? Your brand and visual identity! The content you create in your Stories subsequently influences the content you publish on your blog. The messaging on your website matches the positioning shared through your Stories, which helps people who arrive at your site by way of Instagram recognize similar themes and concepts. As you repeat this pattern for various topics, people will identify your brand as an authority figure in your particular industry. And the more you can establish your brand’s authority around a given concept or topic, the more you can navigate prospective customers through the buyer’s journey. One thing to keep in mind is that as you scale and promote content across numerous channels, you'll need a process to help repurpose those creatives at faster rates. Technology is a great solution to help you create consistent content at scale. Make use of a platform that helps you create content aligned to your unique brand identity through a set of guidelines that ensure consistently high-quality and on-brand content is available for your promotions. Are you ready to create Stories content but unsure of how to use the various channels? Register for our “How to Think About Facebook, Instagram, and Snapchat Stories” webinar for comparisons between the three Stories formats, tips for using the creative tools in each channel, and best practices to create the right types of content.